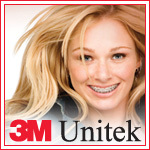 This website gives you immediate access to our multimedia training library where you can learn about new and existing 3M products. Keep up-to-date on new and innovative products and clinical techniques and earn CEU (USA) and CPD (UK) by taking 3M online CE classes, presented by expert clinicians. Request a demo, product information or a Lunch & Learn.